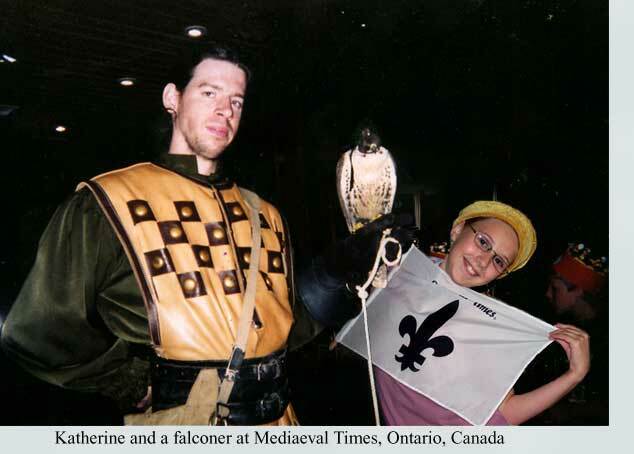 It all started when Katherine visited the world-famous Medieval Times, during her trip to Canada. She arrived home full of enthusiasm for ancient history, and when fellow enthusiast Neville White expressed a wistful wish for a Mediaeval wedding to fiancee Alicia Skye, Katherine offered to organize and put on a Mediaeval wedding and Tournament for the young couple. The inhabitants of Knottwood have been preparing ALL SUMMER! In fact, SO many preparations have gone on that we have had to create a special site for all the things they've gotten up to! The ACTUAL TOURNAMENT AND WEDDING!